Cardolite® NX-9203LP is a di-functional CNSL polyester diol with reduced reactivity. It offers excellent moisture resistance and hydrolytic stability in aqueous solutions. Compatibility with PPG diols and Poly BD are outstanding, thus, when Cardolite® NX-9203LP is blended with other diols, it shows significant improvement of hydrolytic stability. 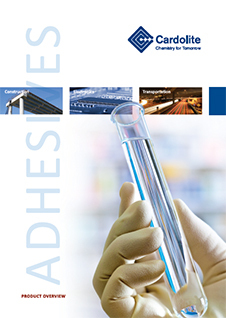 Cardolite® NX-9203LP is more suitable for prepolymer synthesis and can be used in 1K/2K polyurethane adhesives and sealants, coatings, elastomers, flexible foams.